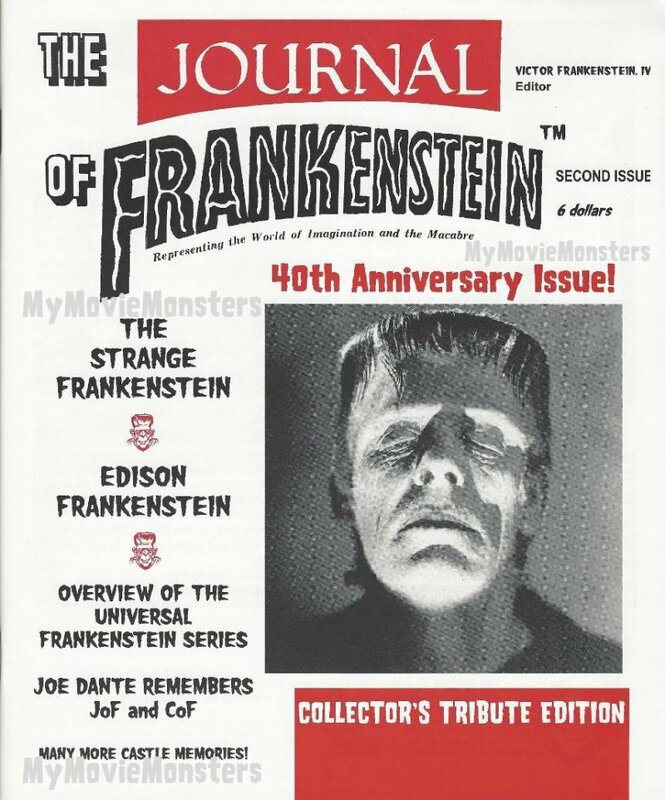 The Journal of Frankenstein 40th Anniversary Issue Collector's Tribute Edition. Representing the World of Imagination and the Macabre. Collectors Note: Brand-new and uncirculated. Picked directly from the printer's shipping carton. Issued in 1999. 68 pages. Two-color cover and B&W pulp pages inside.